Thomas & McElroy LLC (T&M) is a Vermont-based company founded in 2013 by Martin Thomas and Mark McElroy with the express intent of developing commercial applications of Context-Based Sustainability (CBS). In that regard, T&M is the sole provider of training, licensing and consulting services related to the MultiCapital Scorecard™, the first and only context- and capital-based integrated measurement, management and reporting system. More about Messrs. Thomas and McElroy can be found below. Martin Thomas came to sustainability thinking after completing his MSc in Consulting & Coaching for Change, chairing The Change Leaders (tCL) and 34 years in Unilever. He headed Unilever’s global strategic planning activities and then had responsibility for several mergers, acquisitions, disposals and international ventures in various countries at different times. His work was international, mainly at subsidiary executive board level, conducted in four languages and living consecutively on four continents. Since 1999 he has been consulting as call4change and has taken on interim management assignments in various organizations. Martin’s publications include chapters on ‘Scenarios in Venezuela’, in “Business Planning for Turbulent Times” (Earthscan 2008) written by members of the Oxford Futures Forum, and on ‘Performance that Lasts’ in “New Eyes” published by The Change Leaders (2013). His focus on measuring organizational performance towards sustainable futures started in 2007 when he decided to complement the activities of tCL colleagues in New Angles by operationalizing the “triple bottom line” concepts. Mark McElroy is an accomplished innovator, consultant, author and educator in the theory and practice of corporate sustainability management. 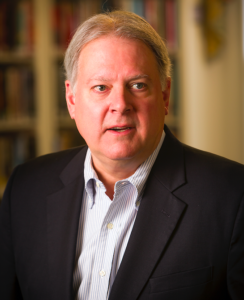 He is the founder and Executive Director of the Center for Sustainable Organizations and is particularly well known for his development of Context-Based Sustainability (CBS), an approach to sustainability measurement, management and reporting in which performance is seen as a function of what an organization’s impacts on vital capitals are. 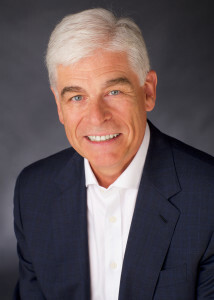 Dr. McElroy is also a long-time veteran of management consulting, having spent much of his career at Price Waterhouse, KPMG Peat Marwick – where as a partner he led a national practice – and IBM Consulting. More recently, he created and led Deloitte Consulting’s Center for Sustainability Performance in Boston, MA, a think-tank dedicated to the study of sustainability measurement, management and reporting that he founded.